eHealth HUB EC2VC Pitch Competition & other opportunities back at HIMSS Europe18: check deadlines and apply! 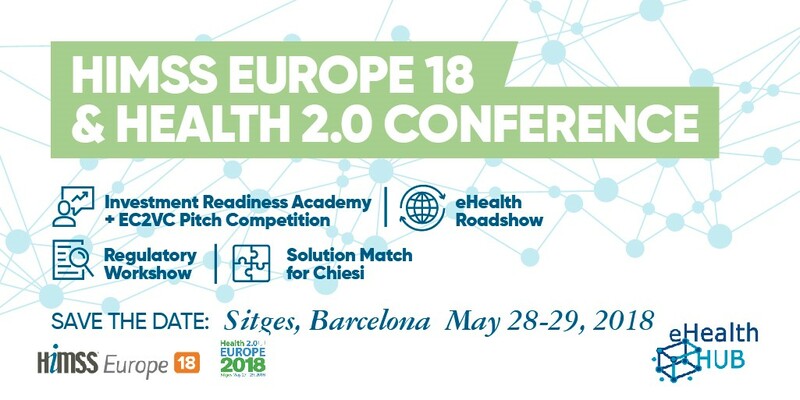 eHealth HUB goes back to Health 2.0 Conference, hosted by HIMSS Europe18 in Sitges. Here all our events on Agenda: great opportunities for eHealth startups and SMEs, free under Horizon 2020. Choose the one(s) best suit you and … meet you in Sitges! The VI eHealth Roadshow @HIMSS Europe brings your innovative digital health company and hospital representatives together, offering you an ideal platform to discover new business opportunities. The Regulatory Awareness Workshop (RAW) @Health 2.0 Europe in Sitges will focus on challenges facing European startups and SMEs in the development of digital health solutions.